It&apos;s true: Salt Lake&apos;s spring, summer, and fall nights are tough to top. And there&apos;s nothing like a delicious meal or cool beer enjoyed out in the fresh air. Fortunately, there are plenty of excellent bars and restaurants around to accommodate. Some are in the heart of the city, some are tucked away in the neighborhoods, and a few are high in the surrounding mountains. We recommend a tasting tour of every single one. 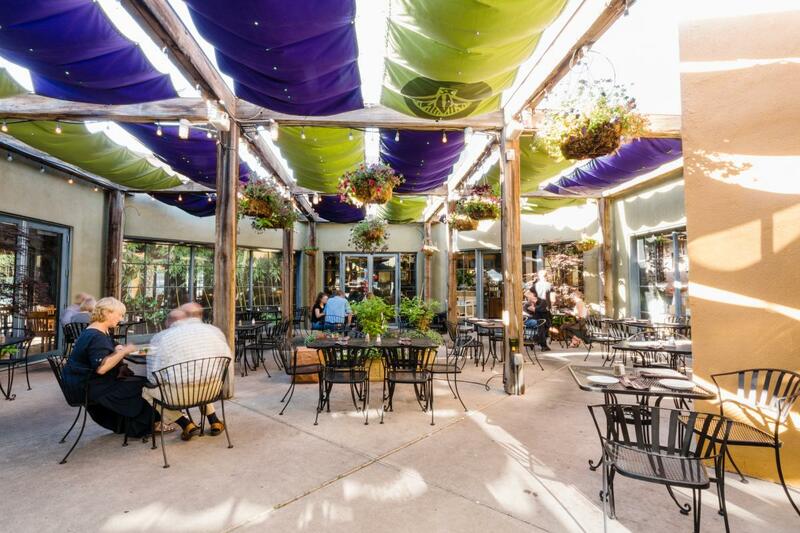 This place tops nearly every patio-dining list in Salt Lake, time after time. It might have something to do with the caliber of their traditional Italian food (and seriously, who can pass up a perfect pasta). 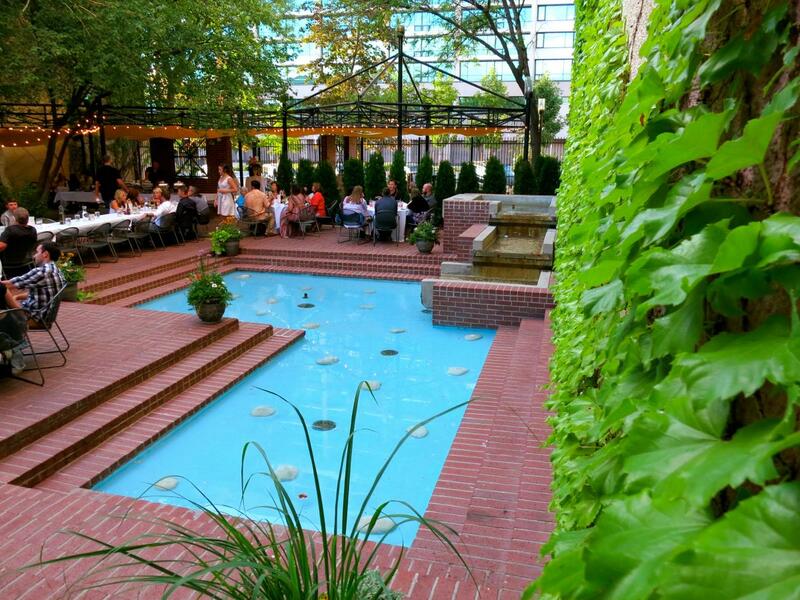 Caffe Molise&apos;s patio is a veritable oasis in the middle of downtown. Inside the secret-garden setting, there are overhead lights, lush plants, and a water pool that sets the scene for a perfect meal. The staff will help you select just the right bottle of imported wine to complete the experience. 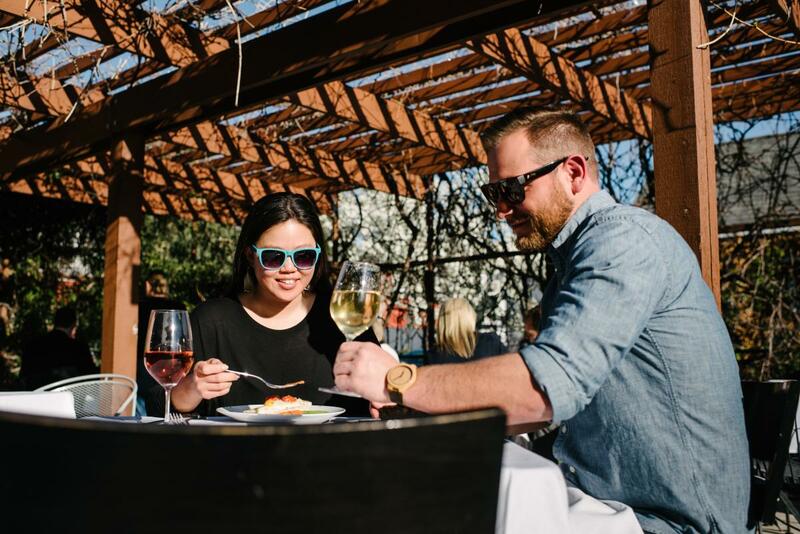 While Caffe Molise’s patio has been classic, downtown go-to, Molise is moving to new, and bigger digs just down the street. Caffe Molise will remain open in its original downtown location, but the restaurant will be moving to Salt Lake’s historic Eagle Building at 404 S West Temple. Atmosphere? Check. City views? Double-check. Impeccable menu? Swoon. Em&apos;s Cafe sits on Capitol Hill in the Marmalade district just uphill from the downtown center. On its large outdoor patio, you&apos;re perched for a sunset over the valley and can watch the pretty neighborhood lights come on as the evening rolls in. All while sipping a pinot noir and enjoying Em&apos;s legendary lasagna. You can tell Eva&apos;s cuisine is delicious by simply making a passing glance over their menu. But pass through their interior space, and you&apos;ll find a hidden patio out back, nestled between the surrounding buildings. The space is as pristine as it is hip … a charming combo of sophisticated and quirky. So sip on a cocktail special in this little pocket of urban open-air, and don&apos;t you dare think of leaving without trying their spinach gnocchi. 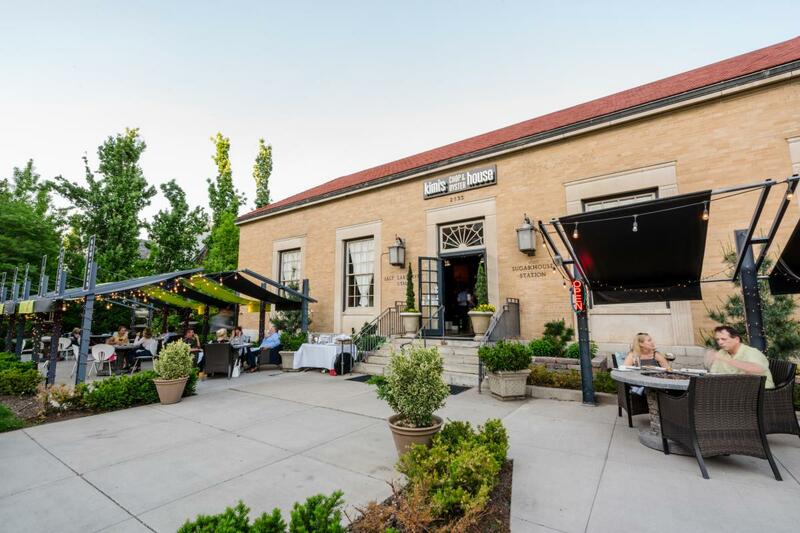 Located in the heart of the thriving and eclectic Sugarhouse neighborhood, Kimi’s Chop and Oyster House is some of Salt Lake’s best dining, patio or not. 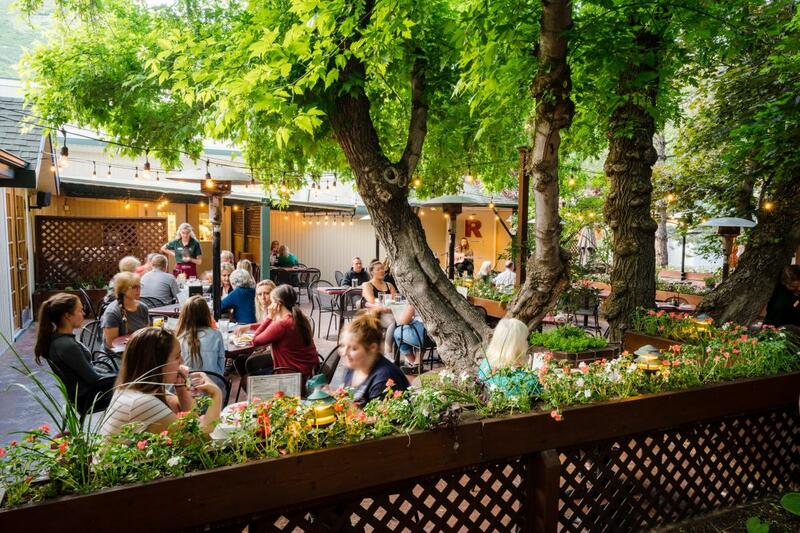 But if you’re into beautiful settings, great people watching, and occasional live music, then the patio at Kimi’s has your number. Decide between mignonette and cocktail sauce as you sit beneath roman awnings, sipping your favorite beverage, enjoying a lovely Salt Lake evening. And with many more bars, cocktail joints, and parks within walking distance, there are plenty of ways to keep the night going once you’ve had your fill at Kimi’s. You&apos;ll take a little journey to the suburb of Cottonwood Heights to visit Tuscany, a luxe staple near the mouth of Big Cottonwood Canyon. The cuisine is among the city&apos;s more upscale options, traditional but well tuned over decades. But their standout selling-point is really their romantic patio. There, you&apos;re transported to another continent, complete with elegant lights, ivy-covered stone walls, flowers, and romantic nooks where you can savor your meal. A gorgeously colorful Asian menu draws crowds to Sapa every night of the week for fresh sushi, flavorful pho, perfect cocktails, and noodle dishes to die for. 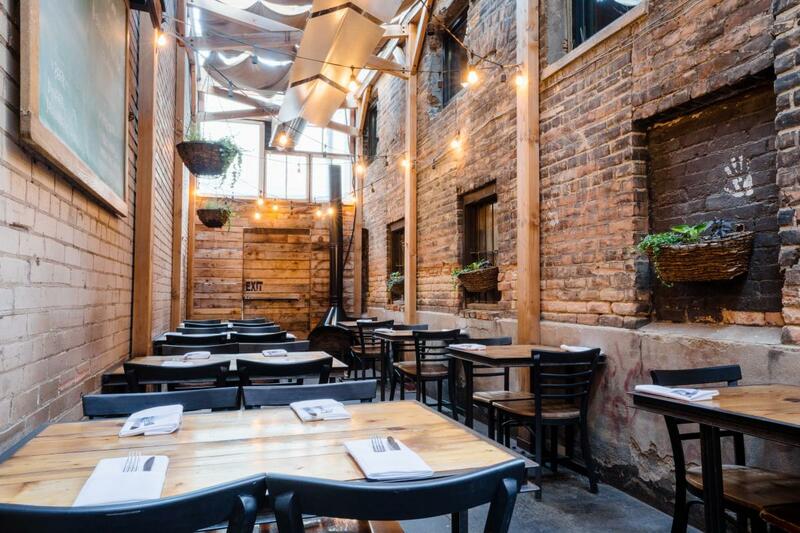 But in the summer, their patio truly steals the scene. 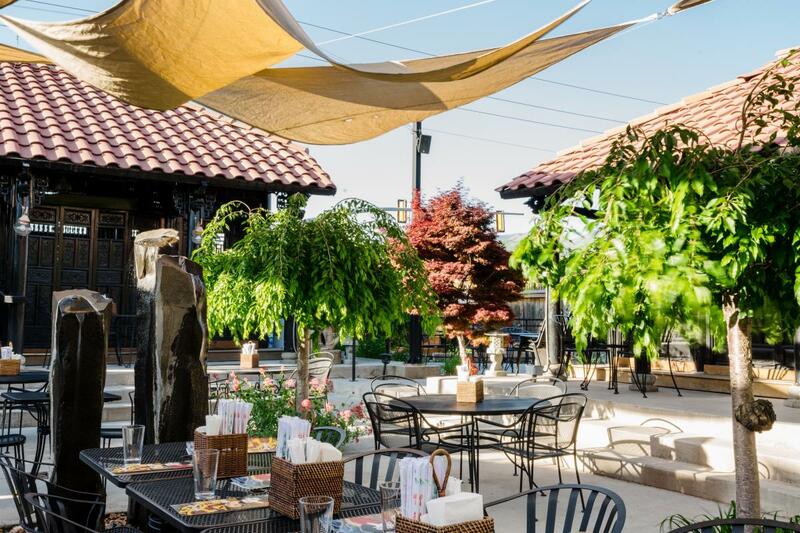 The owners of Sapa navigated extensive logistics to import antique Vietnamese tea houses and reassemble them around the courtyard patio area. The intricate wooden structures bring a one-of-a-kind character to an unforgettable meal. 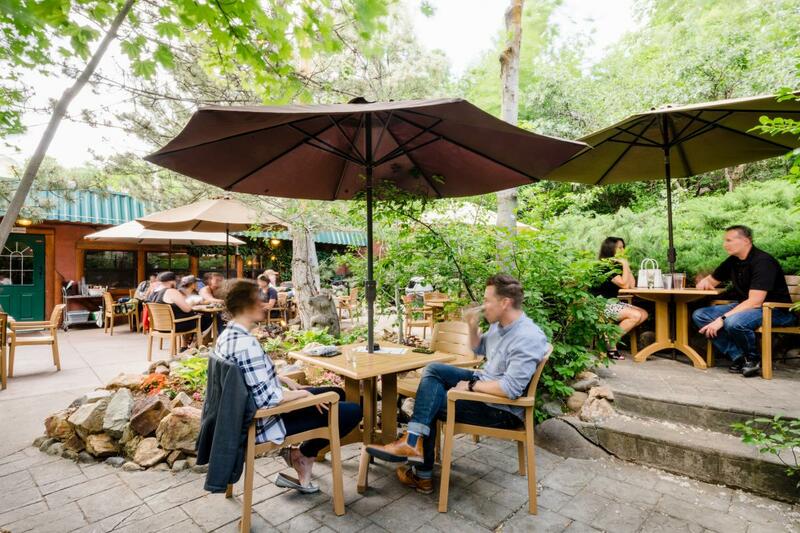 Halfway up Millcreek Canyon just outside the city, Log Haven has long been regarded as one of Salt Lake&apos;s most romantic dining destinations. 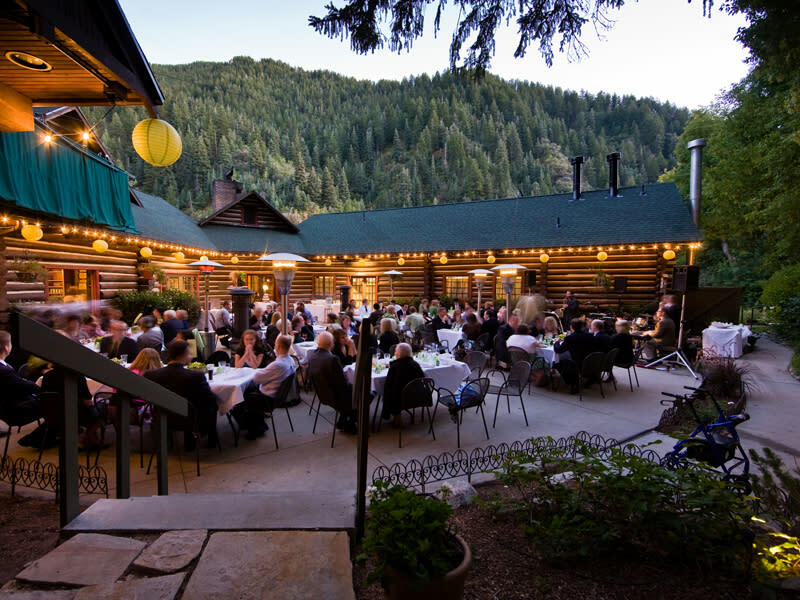 The rustic retreat was built in 1920 as an anniversary gift from a steel baron to his wife, and today it serves as one of the area&apos;s most beloved restaurants and wedding venues. Their open-air patio sits beside a picturesque waterfall. Enjoy the sounds of the water and the smells of the forest as you treat yourself to an exceptional meal. Big Cottonwood Canyon is home to more than some of the area&apos;s best skiing. It&apos;s also the setting of Silver Fork Lodge, which, 150 years ago, served as the general store and post-office site for the canyon&apos;s mining workers. It stands in its original site today, with an expanded dining room and patio. The view is tough to beat: it overlooks the majestic Silver Fork and Honeycomb canyons, with wildflowers in the meadows below. If you&apos;re dining in the evening, the staff will light up their outdoor heaters and distribute blankets to ward off the chilly mountain air. One of the oldest restaurants in Utah, Ruth&apos;s Diner is the in-demand brunch spot for Salt Lakers. Their giant biscuits are served up piping-hot and fluffy with ample butter and jam on the side. And that&apos;s before you even place your order. The restaurant&apos;s history and its one-of-a-kind founder warrant their own entire book, but suffice it to say, the place has had plenty of unique character as well as impeccable brunch. 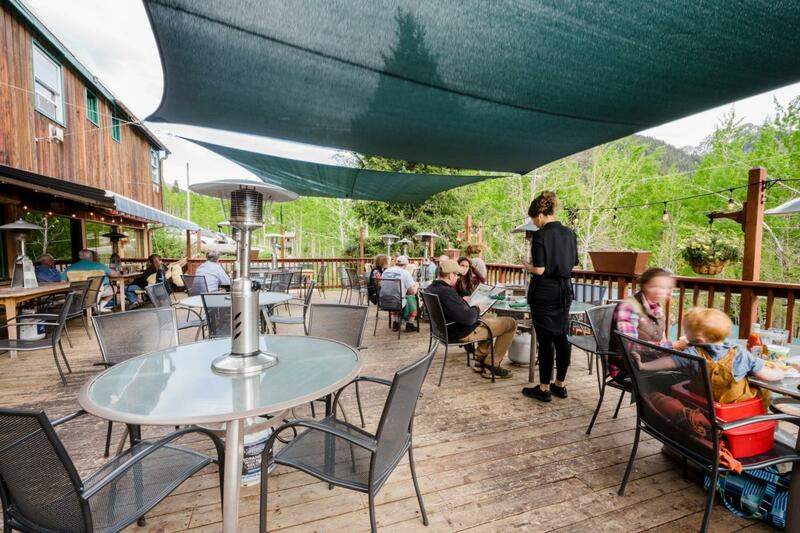 The shaded patio offers a great dose of Emigration Canyon&apos;s cool air, a delight on warm summer days. Oasis may embrace a casual atmosphere, but it has quite an elevated status among patio appreciators. The restaurant&apos;s menu accommodates vegetarians, vegans, and gluten-free diners as well as those who enjoy responsibly sourced meat and fish. A new-age bookstore sits adjacent to the restaurant, and in between, an open-air patio serves as a soothing hideaway for city dwellers. Overhead hanging baskets of flowers sweetly scent the air, while fountains attract the neighborhood&apos;s chatty birds. Campfire Lounge sits in the neighborhood of Sugarhouse and serves as one of the city&apos;s more quirky yet fantastic bars. Built as a tribute to the joy of sitting around a campfire eating and drinking with friends, the lounge features camp-inspired foods (think foil-wrapped hobo dinners and a full s&apos;mores menu) as well as a bar menu. The outdoor patio is their biggest draw: Coleman Lanterns set the mood for guests cozying up to one of the big fire-pits with Adirondack chairs encircling them. As a major bonus, Campfire welcomes dogs and just requires they have collars and up-to-date tags. The canines add to the already-jovial mood. Just don&apos;t let them swipe your s&apos;mores from you. In the suburb of Cottonwood Heights near the mouth of the Big and Little Cottonwood Canyons, the old Hog Wallow pub sits slyly entrenched amidst a neighborhood of upscale homes. 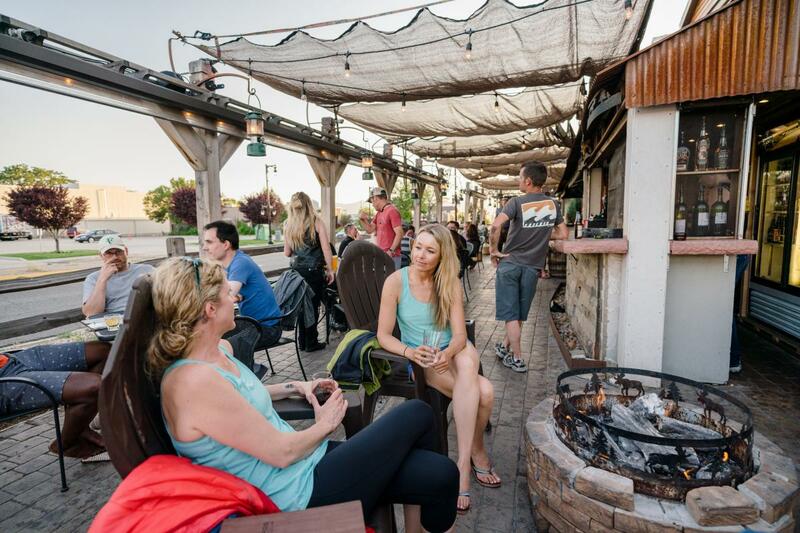 The playful pub draws its fair share of skiers and outdoorspeople as well as bikers. 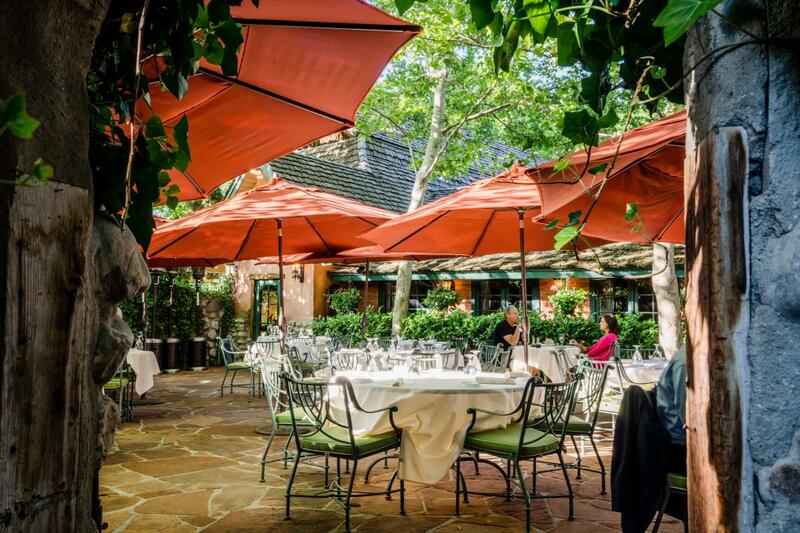 Their patio is one of the best in town: mature landscaping and pretty stonework adorn the terraced table area. You can sip a draft beer, help yourself to a famed nacho platter, and listen to the live music wafting out the bar&apos;s windows.